Meetings: Board of Directors meets the 1st Saturday of each month. All members are welcome. The general objectives of the Corporation shall be to carry the message of recovery to the addicts who still suffer from addiction and to provide support to the Northern California Regional Service Committee of Narcotics Anonymous in their efforts to provide opportunities to recover from addiction. A specific purpose of the Corporation shall be to sell and distribute Narcotics Anonymous literature; other Fellowship approved material and other merchandise as approved by the Northern California Region. A specific purpose of the Corporation shall be to control fiscal management of the annual Northern California Convention of Narcotics Anonymous. A specific purpose of the Corporation shall be to provide service to individual addicts seeking recovery from addiction or groups of individual addicts seeking recovery from addiction and to assist the general public in understanding addiction and the Narcotics Anonymous program for recovery from addiction. Such assistance may include direct and indirect communication with addicts, organizations, agencies, governments and the public at large, as instructed by the Northern California Regional Service Committee. 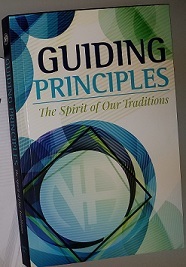 A specific purpose of the Corporation shall be to hold and manage in a fiduciary capacity the income produced by any activities described above in such a manner that the other purposes outlined or assumed or as may be later assigned are satisfactorily accomplished when such is done within the spirit of the Twelve Steps, Twelve Traditions and Twelve Concepts of Service of Narcotics Anonymous.